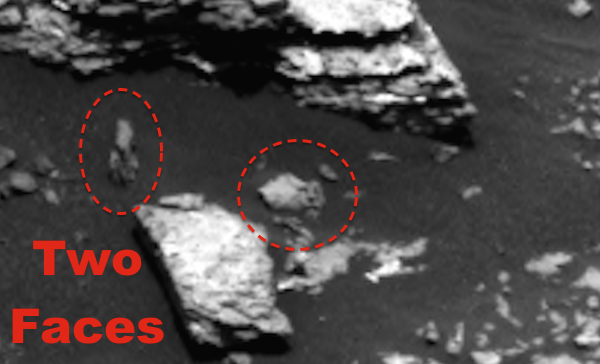 UFO SIGHTINGS DAILY: Faces and Crab Found On Mars In Newest Curiosity Rover Photos, April 26, 2017, UFO Sighting News. 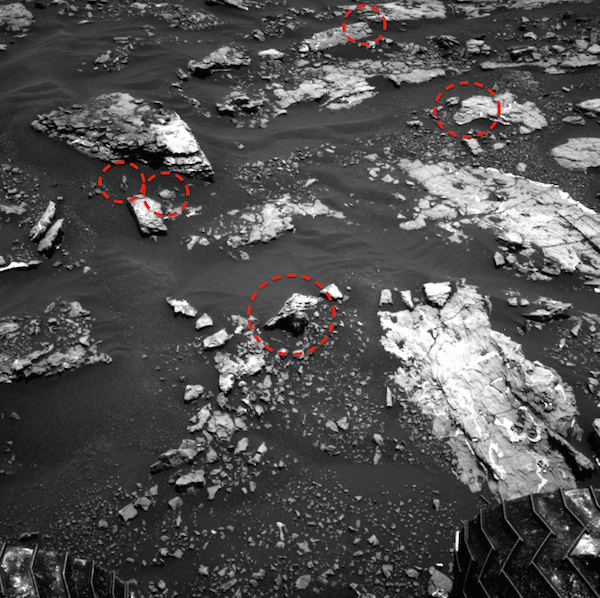 Faces and Crab Found On Mars In Newest Curiosity Rover Photos, April 26, 2017, UFO Sighting News. 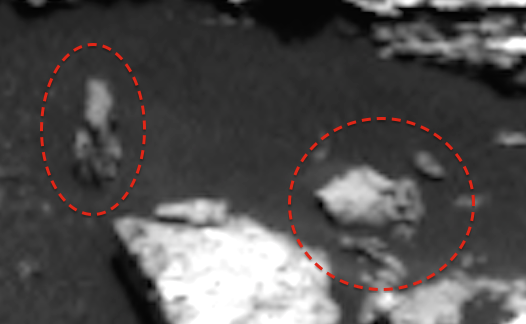 I found two little faces next to each other and both different species in the newest Curiosity rover photo. The face in the photo above on the far left has dark black large eyes, ear, nose, mouth, chin, and tall forehead...the statue is not much different than those found on Easter Island, except this one is about 6 inches tall. 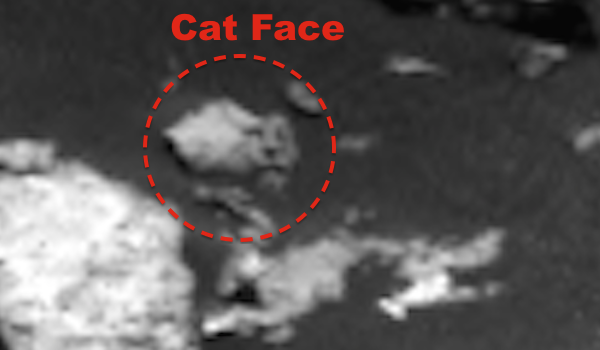 The face to the left of it is that of a feline species (cat) and has a pronounced nose, mouth, chin, and eyebrows. 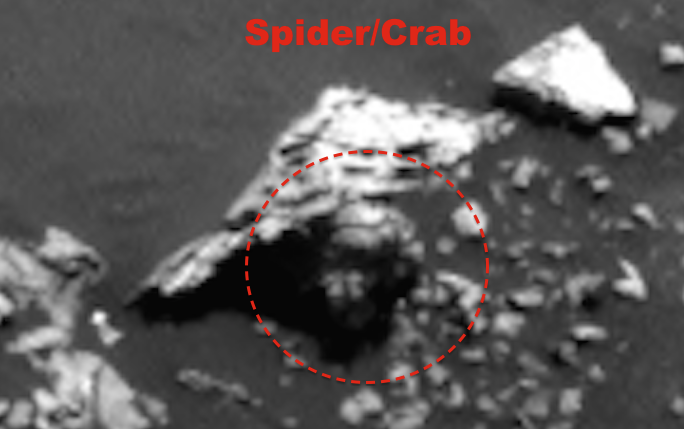 There was also a crab/spider life form not far away. 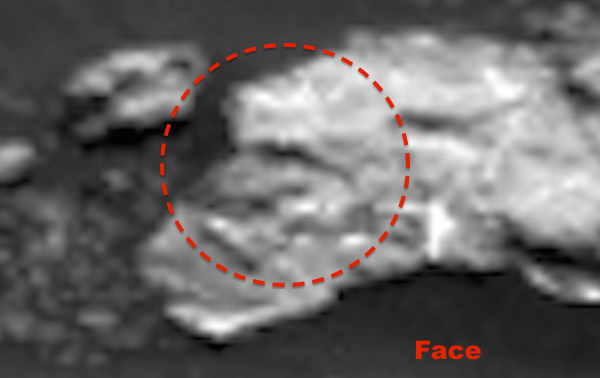 Perhaps this is why NASA always puts these photos in black and white, so we have a harder time without the colors to help us.